Arsenal-Leicester City: Match Preview, Predicted Line-up. Back to League Play But With a Bump. Can confidence gained in this past Sunday’s win over Manchester City in the FA Cup semifinal carry over into league play? Tonight’s match vs defending champions Leicester City will be the first step in answering that question. With a spot in the FA Cup final booked, Arsenal must get back to the difficult task of trying to get up for a top-4 finish and another go at the Champions League. On only three days rest, the Gunners face another must-win match that could pull them to within 3 points of Manchester United and 4 points of Manchester City, clubs that will face each other on Thursday night, meaning at least one of them will drop points. A win would also see Arsenal climb to within 6 points of Liverpool but with 2 games in hand. It won’t be easy. Leicester–with a full week to prepare for this match–are coming off a draw with Atletico Madrid in the 2nd leg of the Champions League quarterfinals. It wasn’t quite enough to put them through to the semis, but they went further than any other English team and did not look out of place at that level. 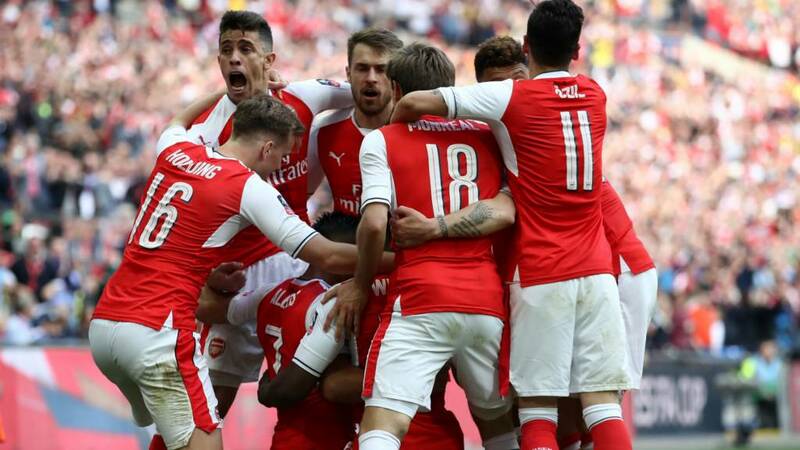 Before that they drew at Crystal Palace, a revived team that thoroughly man-handled Arsenal just 16 days ago. That 3-nil loss was a real nadir, the most recent of many this season, and it was enough for manager Arsene Wenger to decide to switch formations and playing personnel. Playing three at the back has yet to yield a clean sheet but it has been sufficient to see out a pair of 2-1 wins, first at Middlesbrough and then at Wembley. Are those results enough to suggest Arsenal have turned a corner? Will the 3-4-3 be used again and is it the right approach against a Leicester team which won the league last season by being happy to concede possession and play on the counterattack? Of course, this season has been very different for Leicester. Drifting toward the relegation places, club chairman Vichai Srivaddhanaprabha made the bold and controversial decision to sack manager Claudio Ranieri and replace him with his assistant, Craig Shakespeare. It appears that it was the right move. Shakespeare turned the team around, winning his first five league matches. They’ve cooled off slightly since, losing at Everton before the draws with Palace and Atletico. So, in form and well rested–and featuring players like Jamie Vardy and Riyad Mahrez who terrorized the league a year ago–Leicester present a formidable challenge for the Gunners, but one they simply must surmount. As much as Leicester’s playing on the break would suggest a more attacking formation, I believe Wenger will stick with the 3-4-3 and the same starting line-up that helped win the last two games. It could well be argued that, on such short rest, playing the same 11 is a bad idea. Players like Danny Welbeck and Hector Bellerin were effective as substitutes at Wembley and could be considered for starting spots. Welbeck, in particular, gave the Manchester City rearguard new problems when he came on for Olivier Giroud. Isolated and mainly used as a target for Petr Cech’s goal kicks, Giroud was mostly ineffective. By comparison, Welbeck’s movement seemed to enliven the attackers who began to interchange positions more freely. Although he wasn’t able to score a goal of his own, Welbeck made good chances for himself and others, and it was his standing foot (the kicking foot found nothing but air) that must be credited with the assist for Alexis’ unstoppable blast which sealed the win in extra time. If Wenger makes one change to his starting group, Welbeck for Giroud would be the logical choice. A second change might be Bellerin in for the Ox, who was seen leaving Wembley on crutches. Wenger suggested, however, that it was a precautionary measure only, and that there were no real injuries coming out of the cup match. 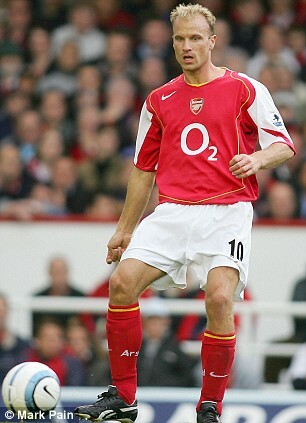 Of course, Wenger might choose this match to switch things up a whole lot more. Using the full depth of his squad and/or reverting to the 4-2-3-1 formation might make sense given the tight schedule and Leicester’s tendency to concede possession. I’m less than fully confident, but my hunch is that the formation and line-up will continue as long as it keeps getting good results and the same 11 are available. Your guess is as good as mine, however, so have at it. No matter what, this match will be a tough one. After the recent wins, the home crowd, perhaps recognizing the importance of the match, might more readily do their part and act as a real 12th man, getting fully behind the team. Hopefully that–plus the burgeoning confidence those results have inspired–will be enough to see the Gunners through to win another one. 29 Responses to Arsenal-Leicester City: Match Preview, Predicted Line-up. Back to League Play But With a Bump. HT, good post, good calls but am tended to give more attention to the gruelling 120 minutes we had only 3 days ago. 4 days is regarded as minimum for sufficient recovery for 90 minutes. The danger of shorter recovery time lies not so much in poorer performances as in the increased possibility of muscular injury. So we might find Ramsey, who is so susceptible to such, rested. The very taxing wingback positions would be begging for fresh legs and Bellerin/Gibbs are able replacements for Ox/Nacho. Tactically, the 3:4:3 requires quicker transitions and Giroud, so far, has not suited. I expect a replacement there. Who between Elneny and Coquelin is to replace the ‘rested’ Rambo? Leicester don’t high press neither do they do the quick offensive passing which both are styles that negate Coquelin’s skill set. Their rather solo attacking style instead plays to his strength. Coq’s inclusion would free Xhaka to concentrate more on in-between the line passing. He left Wembley with his foot in a protective boot, so I wouldn’t risk him. With the Spuds on the horizon, last NLD at old WHL, maybe some rotation is the order of the day this evening, with some early’ish substitutions if the circumstances allow. I agree about the need to rotate but AW must balance that with the NEED to win… Unfortunately, there’s also the “need” (smaller letters) to do what the most critical members of the fan-base would have him do in order to get a result. We (desperately) need the 3 points but it must also be a priority not to lose, thus continuing with the 3 men at the back seems logical to me. My avatar guy (Elneny) didn’t even make the bench at Wembley, but–if I wore the manager’s hat (of hair…)–I’d think about getting him in for Ramsey. (Le Coq in for Rambo or Xhaka seems less likely, IMO…) DW (for Ollie) and Bells (and his braids..) in for the Ox seem the most likely subs. If Wenger wanted even more rotation, could there be a spot for Theo or for Gibbs? Nacho has given a lot in the past two matches and isn’t getting any younger (and maybe is already seen as past it, if the stuff about the Bosnian LB is true for next season). Then there’s Mustafi. Is his thigh problem just a Weng-jury? When does he come back into the squad and whose spot would he take if he did? Juggling the options and their unclear consequences. No mean matter. Alexis at CF is playing quite poorly, IMO, but he did rattle the bar before HT… His backheel giveaway early on should’ve probably been Leicester’s 1st goal. Their even better chance came with the Stoke-esque long throw that fell to Mahrez… Great reaction save by Cech… Schmeichel did well to save Theo’s shot at his near post but was otherwise untroubled. We came reasonably close when Gabby headed across goal but a defender got a key touch away. Koscielny is a slight doubt for Sunday. Maybe Holding is rested for the WHL match Allezkev. We have always gotten late goals against Leicester. Must be feeling fun for the club to see us to have a near heart attack for 80 odd minutes and then we breathed easy after the goal. I would want Holding to be the central pillar, and if Bosscielny does not get ready in time, Nacho and Gibbo will be the wingers. We are still coming to grips with the new formation after 3 games, but somehow a clean sheet after a few good chances from Leicester is a good start. What I was not pleased about is the dislocation between the front 3 and the rest of the team. If the 3 can be 1 AM and 2 CF, it will bridge the gap. Ozil is the best person for that AM position, and Alexis can work the ball off Ollie. However, Wenger knows best against spuds, so we will see what he does. While I’m loving the extra defensive security Arsenal’s 5-2-3 formation is providing, Arsenal will continue to struggle if our efforts to move the ball from defence to attack remains slow, indirect and overly cautious and if we continue to over commit too many players to advance positions. Versus Leicester, I felt Arsenal again got sucked in by an all too familiar tactic opponents having been employing versus the Gunners, whereby they encourage Arsenal to dominate possession in the opponent’s defensive half so as to expose Arsenal to counterattacks. Not only did that unnecessarily expose Arsenal defensively when the Gunners committed too many players in advanced positions, but the quality of the chances Arsenal were able to create due to the congestion in the opponent’s defensive third was by in large poor. While I don’t think Arsenal should address the issue by repeatedly playing long balls to Giroud, I’d like to see Arsenal target their wide attackers in Ozil and Alexis with searching long range passes into the right and left channels. With their on the ball dribbling, passing and shooting skills, couple with some space to attack, that hopefully will give Arsenal’s front three with greater opportunity to create clearer goal scoring opportunities. Until then I think Arsenal will continue to struggle in the goal scoring department. I didn’t see the Leicester game so I cannot comment on it, but I think playing 120 minutes at Wembley just a few days previous, has to be taken into consideration. Arsenal have played with a back four for over 20 years, its ingrained into our players, so it’s gonna take time to perfect the new system, but I thought we looked as defensively sound and as offensive as Man City in the semi-final, we had Holding playing only his 2nd game as a ‘regulat’ with Oxlade Chamberlain in a new position and I think they did ok.
Xhaka has to be the man to send in those long passes down the wing, it time I think we’ll be just fine. A little quiet around here eh? For this Sunday’s match, I would want the whole team to play their best football and fight like they are going to war. It is our bitter rivals and like all bitter rivals do, even if it means that we have to play at top speed and top class shooting, we should do that and show them who’s Boss. We should rotate again for the whole team to come in fresh. Anyone knows about Bosscielny’s latest status? njk, maybe it’s the calm before the storm! The Ox and the Bel are two terrific players. In this 3:4:3 must it be a case of either or? Ox can fit many positions. I was just watching extended clips of the incomparable Pele. Acceleration, pace, power, balance, trickery, skills, vision, commitment, the whole works. The Ox is not anywhere near him, but he is on the boulevard that leads to where the king is. Pele could play anywhere not least the inside forward position which is what I dare recommend for the Ox…..inside left with Sanchez pushed tothe striker position. Sanchez is a prolific goal scorer but not a box man. Enter Ramsey the box man from midfield! Kos for a late fitness test.